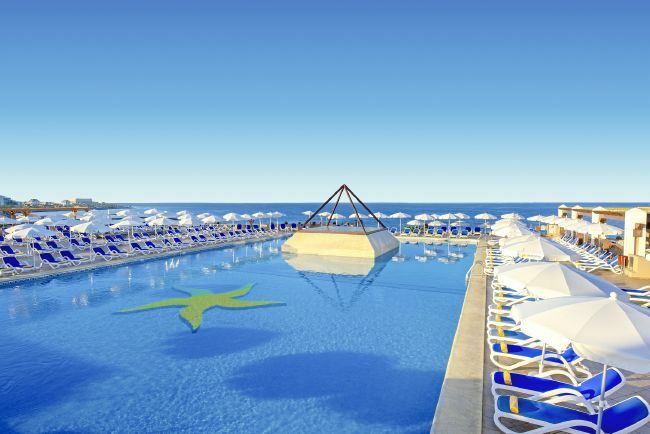 Iberostar Bouganville Playa is a 11 storey high seafront hotel with a total of 481 rooms, renovated in 2005. It is at 250 meters away from the gold sanded Playa de Bobo and at a very short walk from public transport, shopping center, supermarkets and restaurants. The hotel offers 3 outdoor pools surrounded by a sun terrace, with free loungebeds and parasols, and a snack and bar pool for refreshments.